Contemporary Fusion outdoor rail to rail bracket. Made by Richard Burbidge, this high quality connector enables you to provide support for the hardwood timber handrail by attaching it to the aluminium support rail. Compatible with Fusion outdoor handrails only. 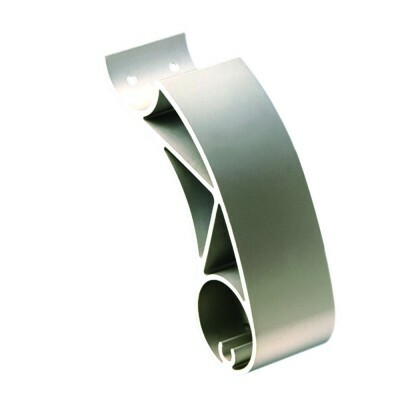 Three rail to rail brackets are required for each 2020mm handrail. Designed for use only with the Fusion Contemporary domestic ground level system.